Long and graceful Sterling silver earrings of three interconnected marquise shaped links in graduated size, ending with a hand hammered tear drop. 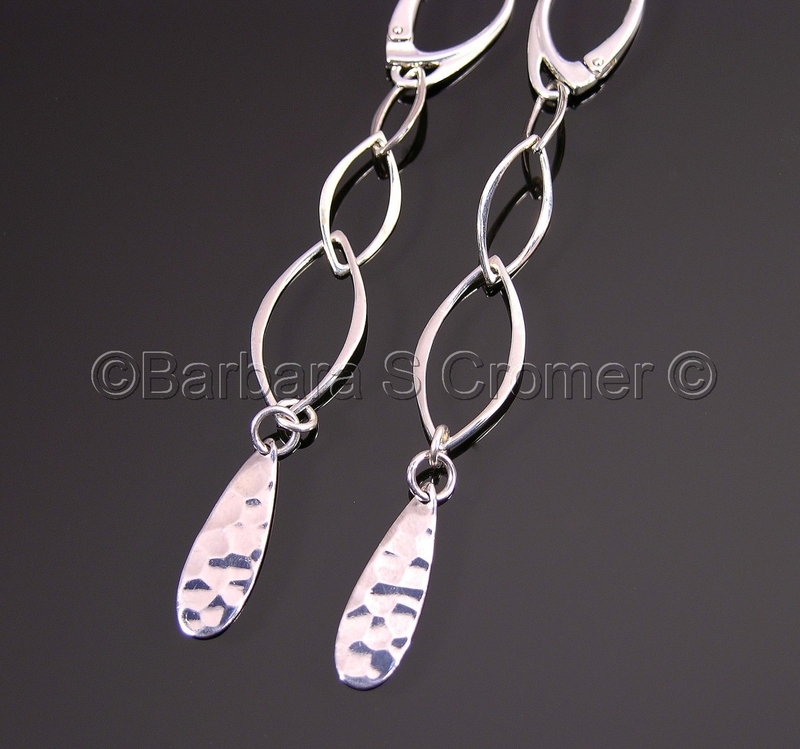 Sterling silver ear wires are modern euro-style lever backs. Extremely light weight , 3.25 inches overall.